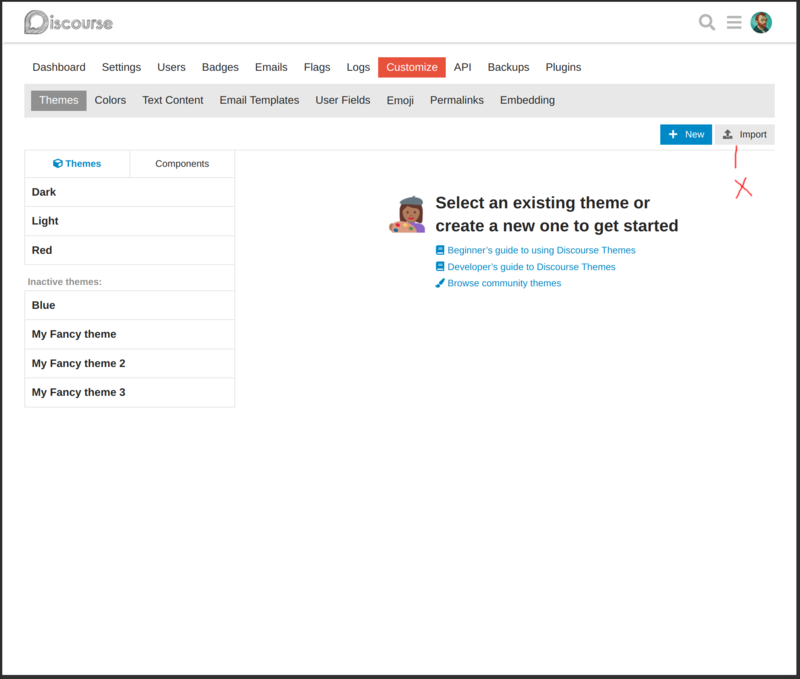 This theme component will provide a stationary header with a large logo when scrolled at the top of the page. As you scroll down the page, the normal Discourse header bar will appear. This allows a large site logo to be cleanly displayed at the top of the page. On mobile, the header bar will only display when the phone is in portrait orientation. Vertical space is usually fairly limited when you are in landscape orientation, so this will keep things open. To see the header again, you can either scroll to the top of the page or rotate the phone back to portrait orientation. 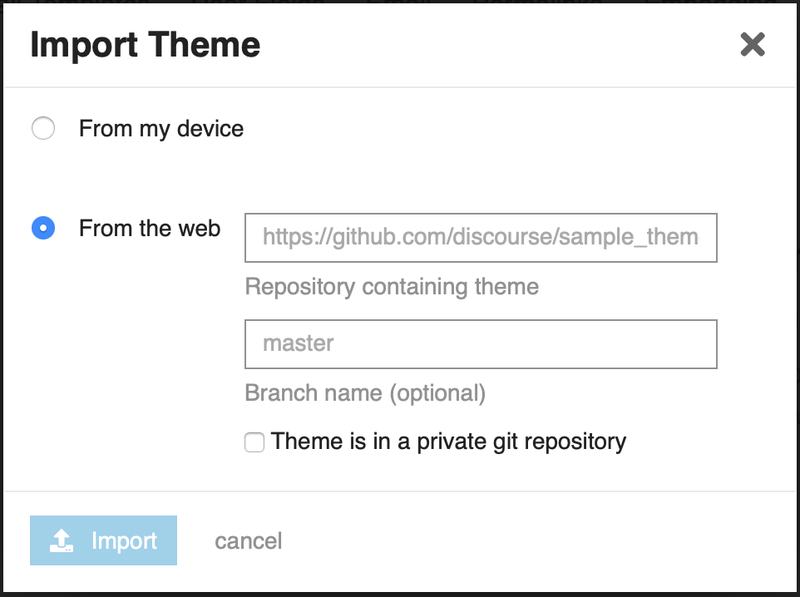 IMPORTANT: You must be running Discourse Version 2.0.0.beta4 or later for this theme to work. Being that users love to customize their headers and the general area near the top of the page, there may need to be some additional adjustments made to handle conflicts with other customizations. I have tested this to work on a clean Discourse theme, but be prepared to tinker with it depending on how many other customizations you’ve done. It would be ideal to do as many of the modifications to this as a separate child theme component so that you do not lose track of your changes if/when the theme is updated. Since this adds padding to the div#main-outlet, the topic timeline can be affected depending on how large your logo is. There are hard-coded ways to handle it, but that’s not ideal. I will most likely make a post in #dev to outline all that I’ve tried and see if anyone has ideas on how to compensate for the extra padding. Changing our logo to fit Discourse requirements? Awesome work on this @tshenry. For anyone who wants to use a BIG LOGO at the top of their Discourse site, particularly if their logo is not rectangular, this is a great theme plugin! Oh dang, that’s a pretty rad component you’ve got there, thanks for sharing back with us! I will most definitely add a sample to theme creator. Thanks for the reminder! I need to update my other themes with the links to their demos on there as well. I’ll try to get a GIF in the post as well. Yep, very broken! I’ll get that fixed up ASAP. If anyone reading this notices issues after updating the component, please report them! There’s just a slight dead zone under the little header where you can’t interact with certain things. Highlighting text, entering a topic, interacting with the timeline. I’m sorry, I don’t really know how to describe my problem, but you can reproduce it by just having text or the timeline below the little header. Try to highlight the text, or interact with the timeline. Does anybody have any suggestions to fix this? It’s not a super huge problem in general, but it does make the Table of Contents theme component wonky to work with. I’m not sure if this is something to tell you or them. I love this component, by the way @tshenry. Thanks for reporting! This should be fixed once you update the component. Let me know if you ever find any other issues. My goodness, that was quick! Works fantastic, thank you so much!